Experts in Longines Watch Repair and Longines Watch Service in Marina Del Rey! Our priority with every Longines Service is to maintain your watch within Longines factory specifications. We service both Quartz and self-winding Longine watches. Does your Longines just need a Battery? Bring it over to Marina Bay Watch Company and we can replace it while you wait. When servicing your Longines, the procedure taken is to inspect and diagnose the problem. We then do a full Service on the mechanism which includes lubrication, adjustment, regulation (timing), clean, Refinish the case and band, replace back gasket, replace crown gasket, polish the crystal if necessary, and pressure test your watch with state of the art digital water testing machine to meet factory specifications. . Also, Longines crown repair or replacement available with any Longines Repair and Longines Service. One important factor in maintaining your quartz, mechanical wind, or self winding watch is assuring that all your gaskets are not broken or dried up to assure yourself that your watch will not leak from even slight moisture. It is very critical that with every Longines Watch Repair, Longines Watch Service, or Longines Battery Replacement, that your watch passes water test (refer to water testing) to avoid any future water damage. It is very important to maintain your timepiece properly. To ensure proper maintenance with your Longines, it is advised to check your gaskets for water resistance annually if your Longines watch runs on a Battery. Our watchmakers can replace your battery and ensure you that all your gaskets are sealed properly and machine tested to maintain factory Water Resistance. All Longines watches that are self-winding or mechanical wind, should be serviced every 3-5 years to keep it maintained properly. Bring your Longines to the experts at Marina Bay Watch Company so we can service your watch properly. 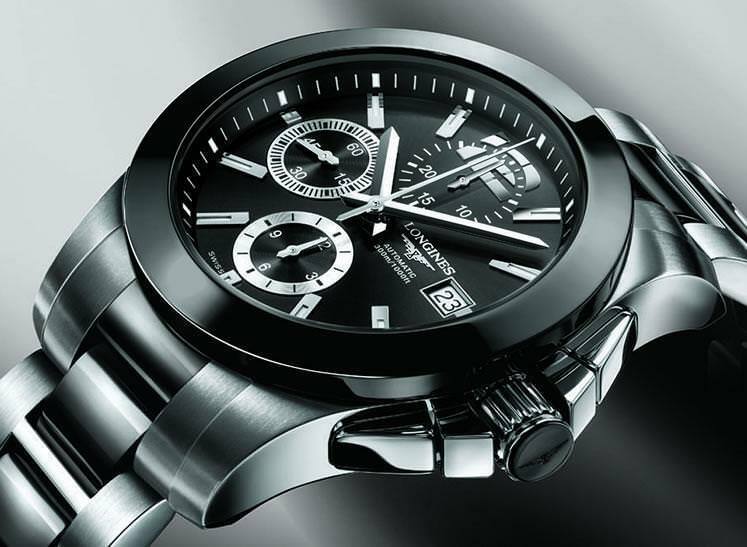 All Longines Repairs from Marina Bay Watch Company include a 1 year warranty.